According to researchers at MIT, if all member nations met their obligations, the impact on the climate would be negligible. The impacts have been estimated to be likely to reduce global temperature rise by less than 0.2 degrees Celsius in 2100. We are not these researchers and this is not our finding. 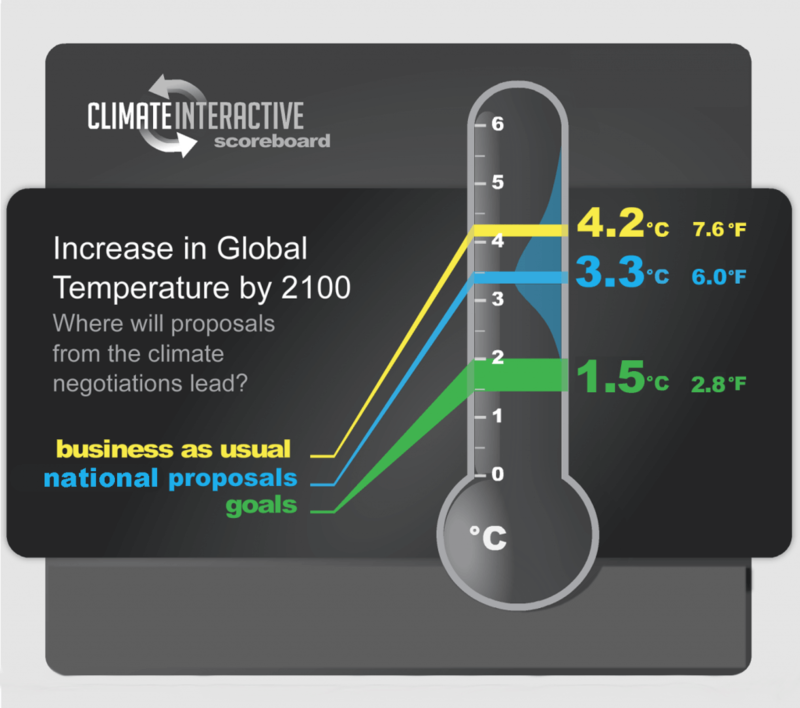 Our Climate Scoreboard is a collaboration between Climate Interactive and the MIT Sloan School of Management System Dynamics Group. Our business as usual, reference scenario leads to expected warming by 2100 of 4.2°C. Full implementation of current Paris pledges plus all announced mid-century strategies would reduce expected warming by 2100 to 3.3°C, a difference of 0.9°C. In making this assessment, we take all nations at their word that they will fully meet their national commitments under the Paris Agreement. We do not credit nations with reductions they have not pledged to make. If nations increase their ambition and set future pledges, as is outlined in the agreement, then the positive impact would be even larger.